Take 26 to the Trillium Lake turnoff. Lake is approximately two miles down the road. I took a road trip to Oregon to witness the Great American Eclipse. I couldn't resist doing some sightseeing while in the state, and visited the Trillium Lake area near Mount Hood. On this particular afternoon, the cirrus clouds were especially gorgeous, and Mount Hood was well illuminated by the sun. 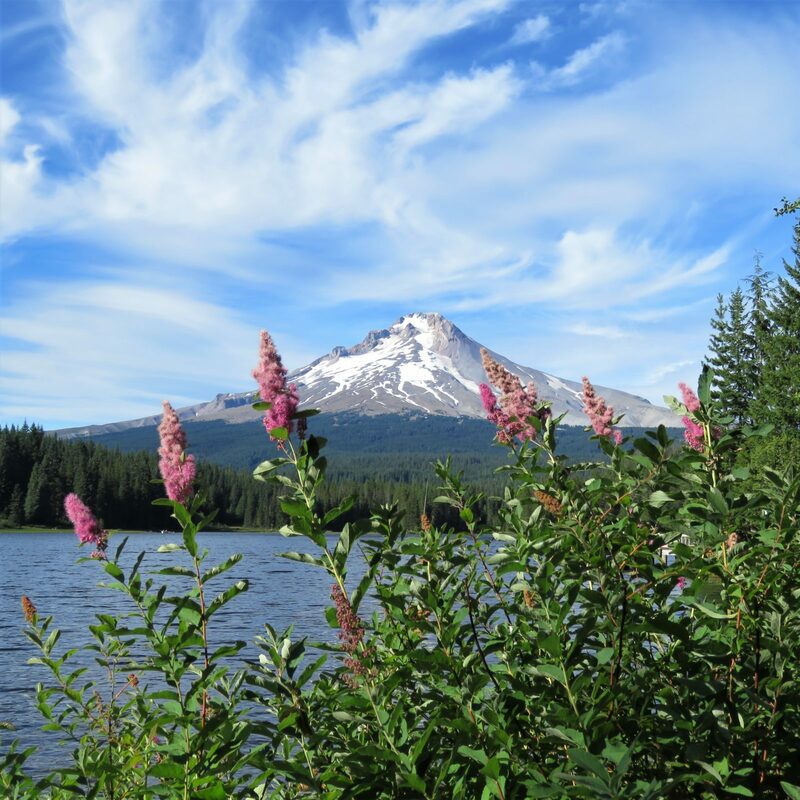 I framed Mount Hood and the clouds with a cluster of late-blooming pink flowers along the shore of Trillium Lake. This photo is the result.